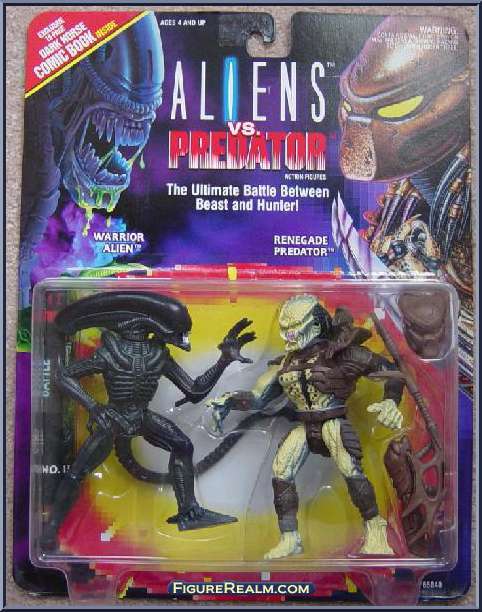 An adult collector version of Kenner’s famous 2-pack. 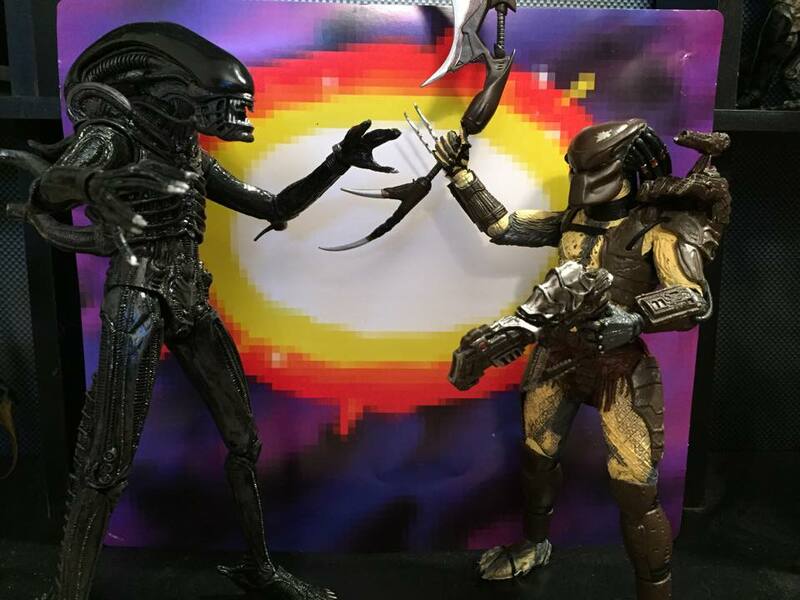 The Warrior Alien against the Renegade Predator. 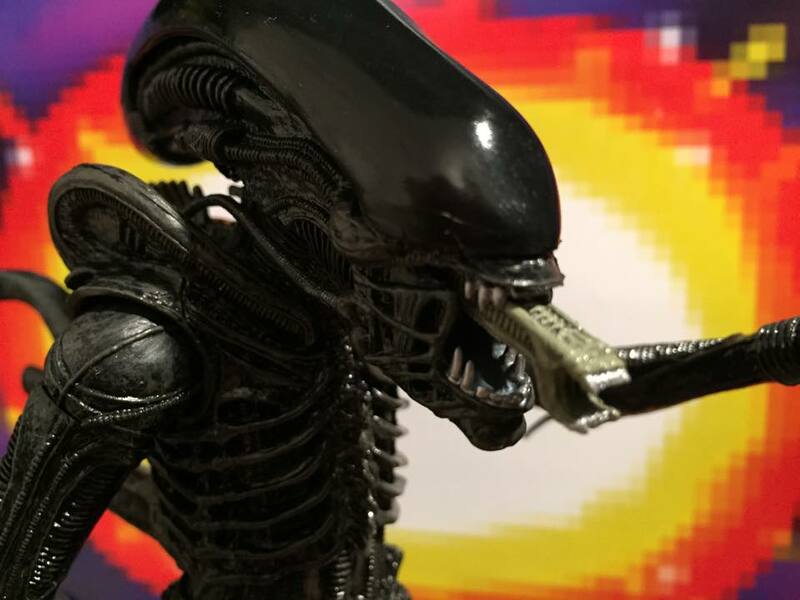 These aren’t the first older Kenner designs redone in modern style by NECA Toys, and there are more on the way. 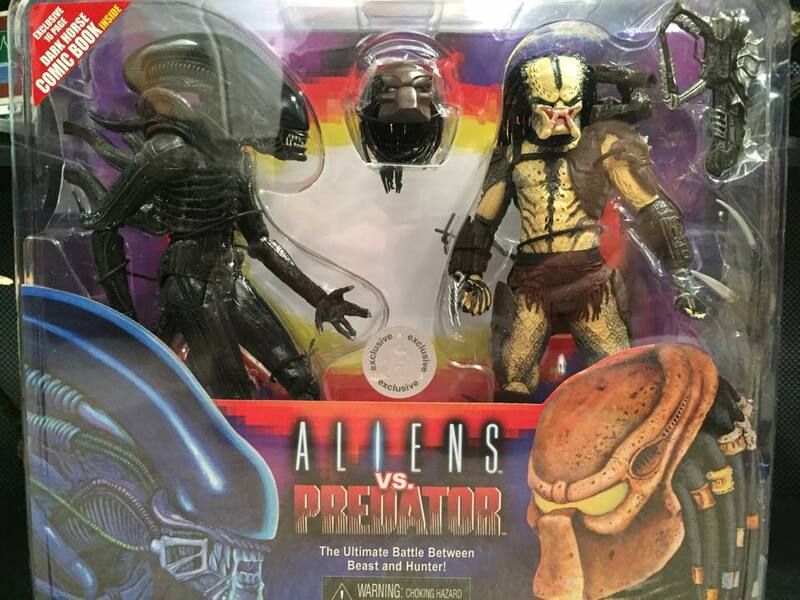 The art design in the original Kenner packaging is brought back by NECA on both the front and back of the new version. 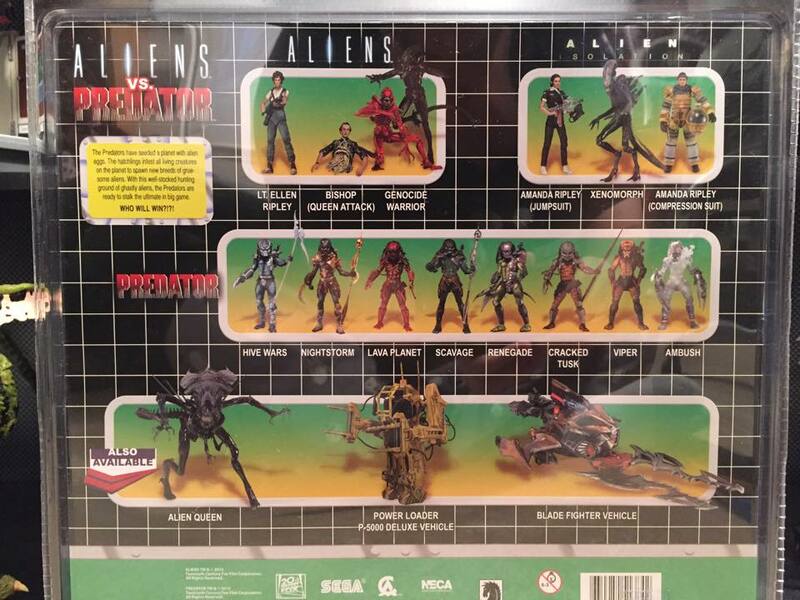 This back section shows off the previously mentioned other Kenner inspired NECA Toys. 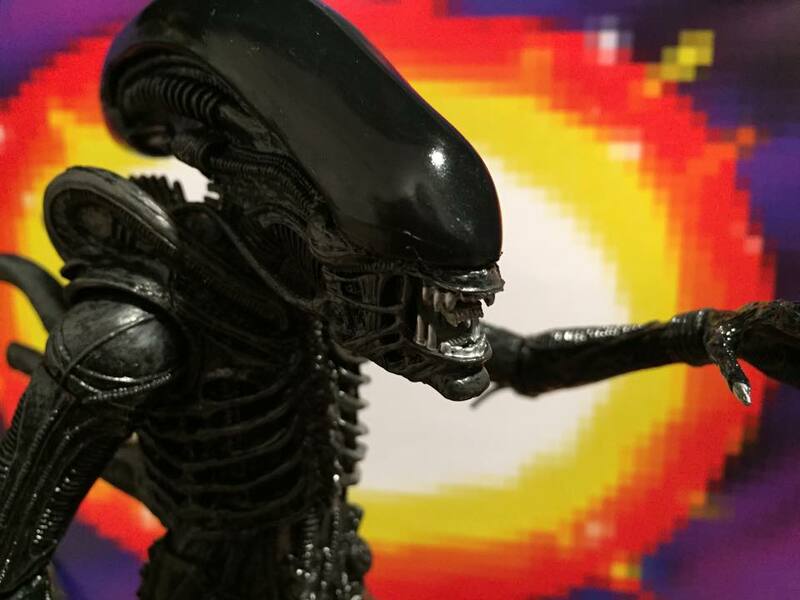 The Warrior Alien comes with a smooth dome and accurate, silver nail coloring from the original Kenner version. It also comes with an opening mouth and extendable, inner jaw. 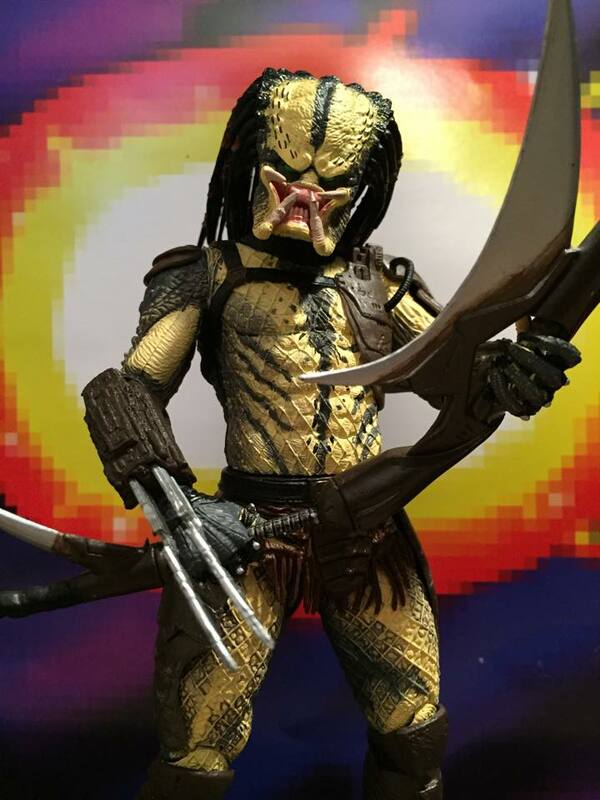 This version of the Renegade Predator comes with extending wrist blades, shoulder mount with posable cannon, plasma pistol and dual edged blade. 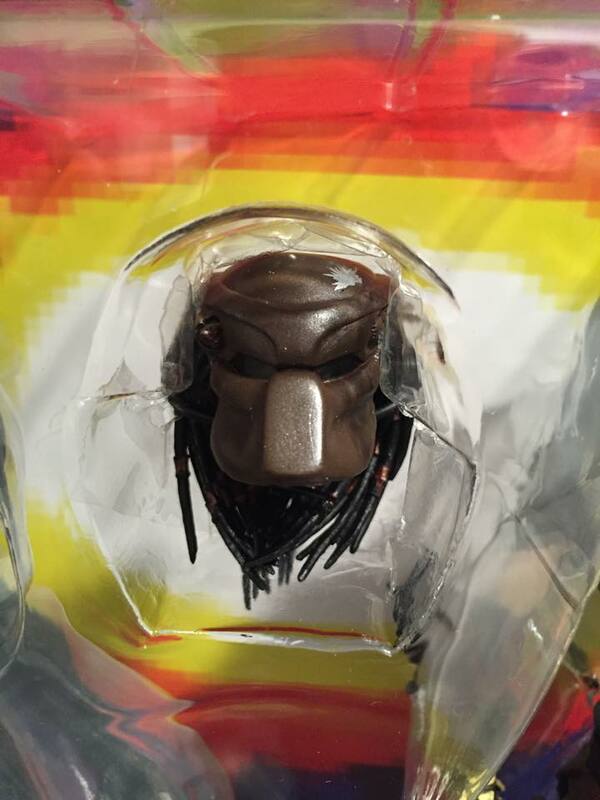 It includes an alternate head of the Predator wearing his mask. The original Kenner Renegade had a removable mask, but making a single head able to have a removable mask and remain screen accurate isn’t possible at this scale. 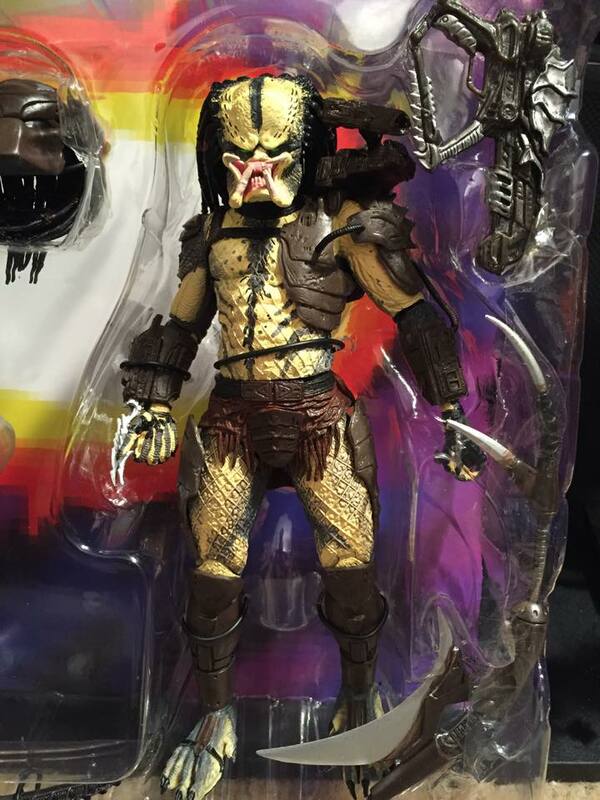 This is actually the second version of the Renegade Predator NECA has released. This earlier version has a silver color to its armor and more greenish tones in its skin. This is a great incentive to collectors to have choices in figure versions instead of just reusing one version twice. 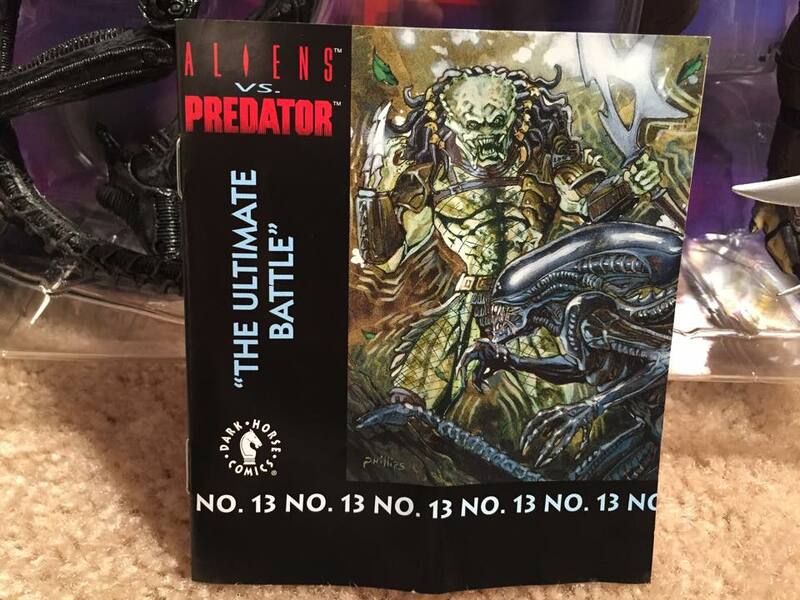 You can also see the first version of Renegade on the back of the 2-pack’s insert pictured above. 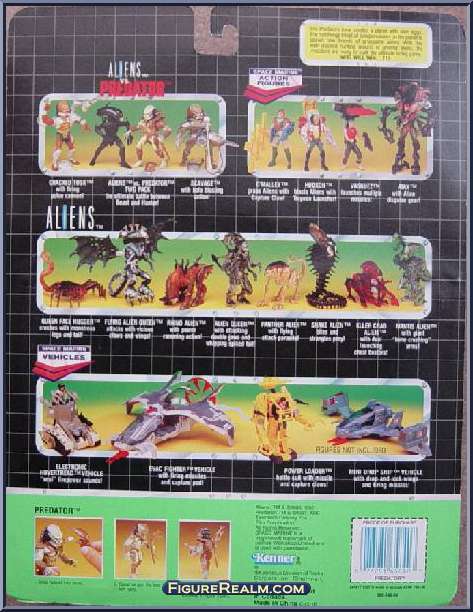 One of the coolest features of the original Kenner Alien and Kenner toys were small, rolled up comic books that were placed in the bottom of the toy’s packaging. 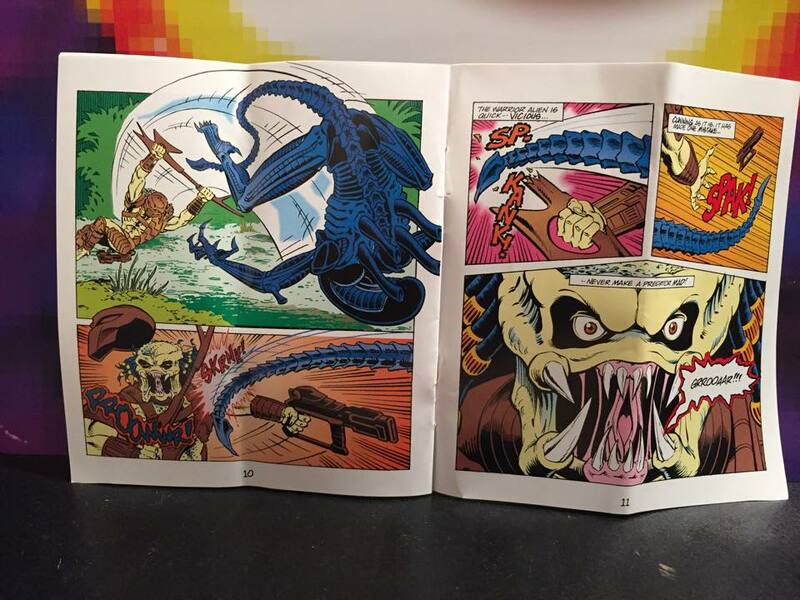 NECA included a complete replica of the comic that was included in the original Kenner 2-pack. 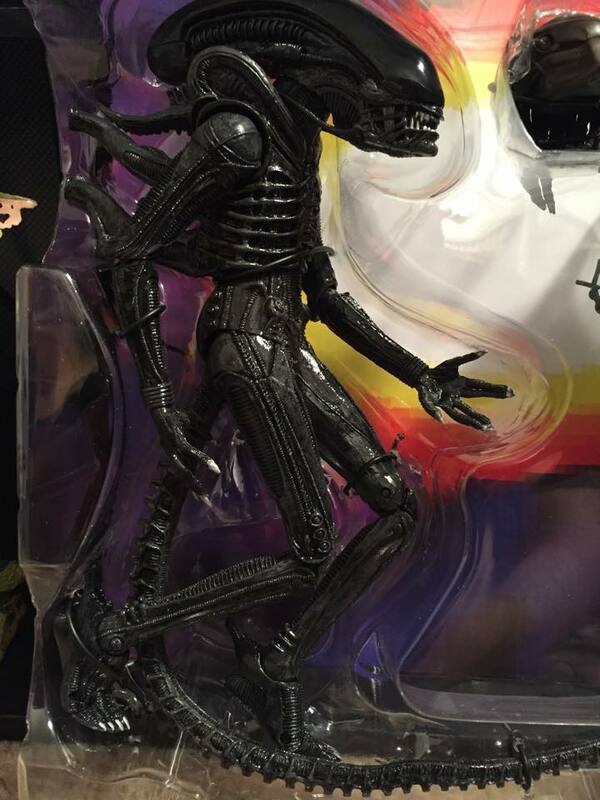 Priced at $43.99, it’s a little more expensive than pervious NECA Toys R Us Exclusive 2-packs. 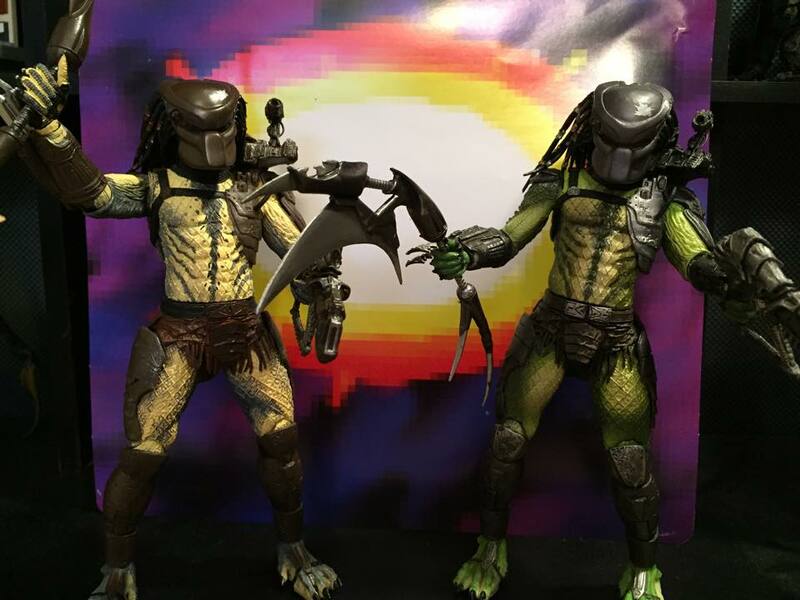 But honestly, when you take into account the size of each figure, the features on each, multiple Predator accessories and weapons, an alternate head and a comic book, I think it is a very fair price. Available only in Toys R Us stores or on their website, this set is back in stock after selling out after its first release. I’m very tempted now to go hunt down one of the Kenner 2-packs to go alongside these on my shelf. I’ve already seen many fans on Facebook and Twitter already pose such great shots and I think I may follow suit. Please check out www.figurerealm.com for more pictures of retro toys, reviews and an excellent forum.